The District Department of Transportation (DDOT) would like to extend its appreciation for your patience and understanding while work is being conducted on the Reconstruction of the Monroe Street NE Bridge over WMATA & CSX tracks. 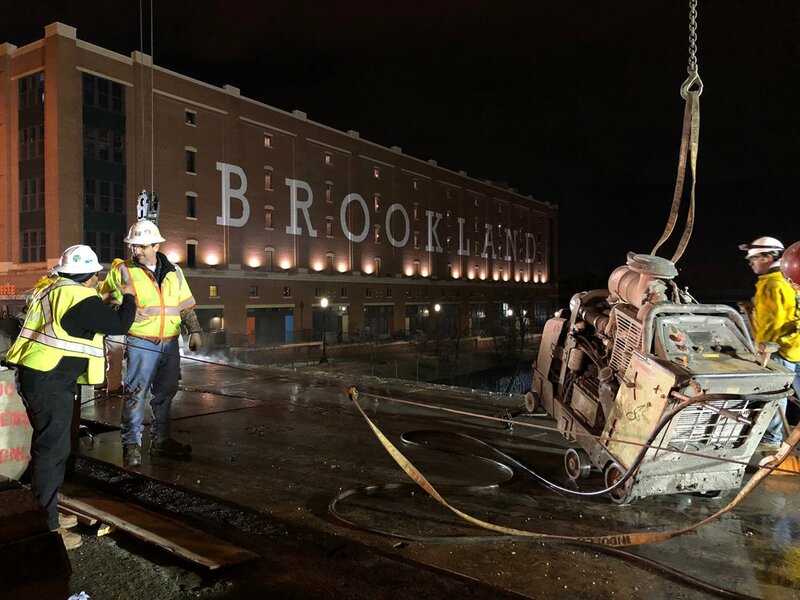 Since it is completely unsafe to perform demolition when CSX and Metro trains are using the tracks under the bridge, DDOT’s contractor is only permitted to work in the early morning hours from 12 am to 5 am, when WMATA and CSX trains are not running. Unfortunately, during the demolition phase of this project, this work can be a little noisy. We realize this may cause some inconvenience to the neighboring community, and we sincerely apologize for the noise levels. The project team is working to minimize the noise level as much as possible, and to complete the demolition phase as quickly and as safely as possible. 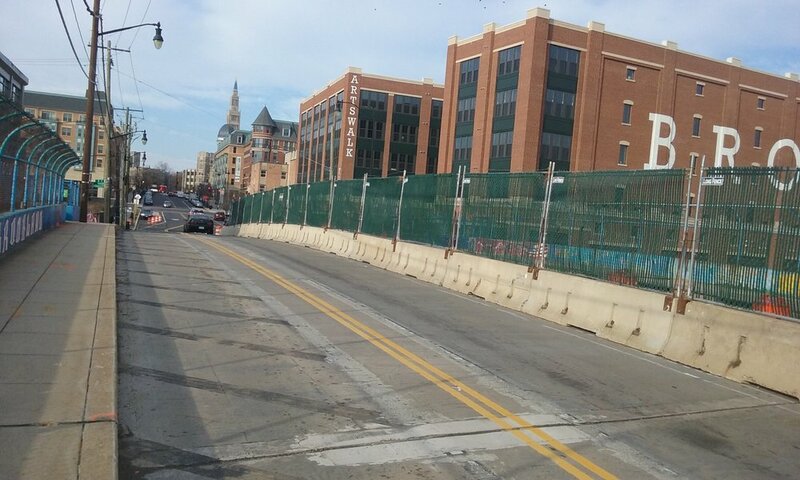 Thank you again for your patience and understanding, as we reconstruct a safer Monroe Street NE Bridge. The contractor worked at the north side of Monroe Street NE Bridge within the construction zone, assembling and Installing existing Utility Support System over the bridge. The contractor also continued working on core drilling in preparation for concrete boxes lifting. All traffic maintained with two open-lanes eastbound and westbound. The contractor worked at the north side of Monroe Street Bridge NE within the construction zone, demolishing and removing north sidewalk. The contractor also worked on core drilling and removing east and west armor joints concrete in preparation for boxes lifting; started the assembly of Utility Support Truss. All traffic maintained with two open-lanes eastbound and westbound. The contractor worked (Night Shift) at the north side of Monroe Street Bridge NE within the construction zone, removing north parapet wall and saw cutting in preparation of sidewalk demolition in Span 2 over WMATA bay. All traffic maintained with two open-lanes eastbound and westbound. The contractor will be working on the demolition and removal of sidewalk over CSX at the north side of Monroe Street Bridge NE within the construction zone. The contractor worked (Night Shift) at the north side of Monroe Street Bridge NE within the construction zone, saw cutting north parapet wall in preparation of sidewalk demolition in Span 2 over WMATA bay. The contractor also worked on core drilling points in preparation for lifting of concrete boxes at the north side of Monroe Street Bridge NE within the construction zone. All traffic maintained with two open-lanes eastbound and westbound. The contractor will be working on removing the Parapet wall over CSX at the north side of Monroe Street Bridge NE within the construction zone.